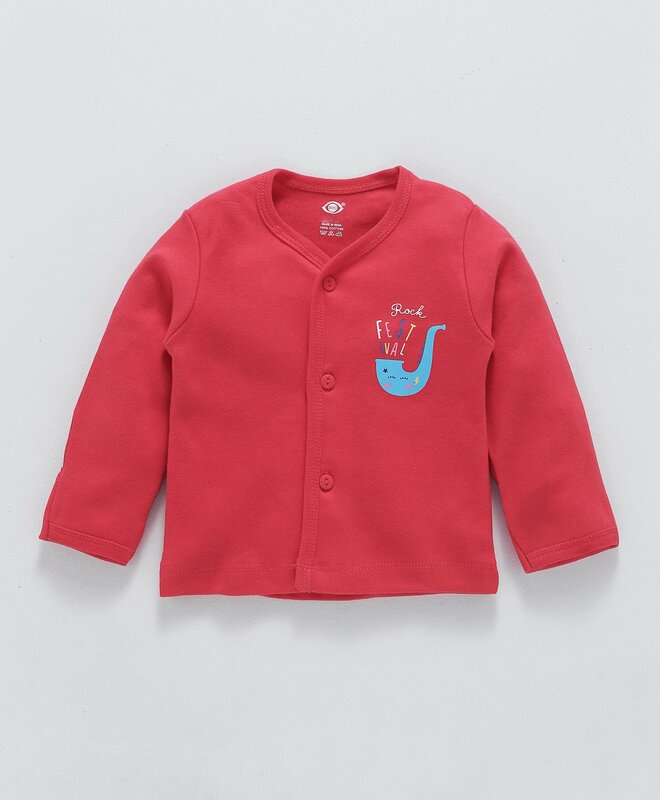 Zero presents this soft and comfortable full sleeves vest for your little one. Cute print on solid color base makes it look stylish. V neck and front button fastening ensure fuss free dressing. The soft fabric of the vest will keep your child comfortable all day long.